Monday, Monday 15th April 2019 at Clent Parish Hall, Clent commencing at 7.00p.m. This evening will also include the Annual Meeting for 2019 at 7pm before the Parish Council Meeting. Meetings are open to all residents and commence at 7:00pm. 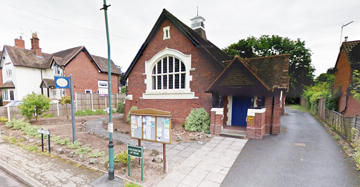 Unless otherwise stated, all meetings are held at the Clent Parish Hall, Church Avenue, Clent, DY9 9QT, commencing at 7.00p.m. Electors are always welcome and are given the opportunity to address the Council on parish issues prior to the commencement of the business of the meeting. Electors are invited to give their views and question the Parish Council on issues on the Agenda, or raise issues for future consideration at the discretion of the Chairman. A Councillor with a prejudicial interest in a particular issue may address the Council on the issue during public question time, subject to the Councillor leaving the room in the event of an exchange of the issue between the public and the Council during public question time. The time of the democratic half-hour is at the discretion of the Chairman. Documents from previous years may be viewed by clicking here.